Today is Day-0 of Microsoft's 30-day Active Directory Security School, which starts on May 22, 2017. Today, I'll answer the 2nd (here's the 1st) $100 B question I had asked them, which concerns AdminSDHolder, the root of organizational cyber security worldwide. If you're Microsoft, or one of millions of Windows/Active Directory admins or cyber security pros worldwide, you know that at the heart, root & foundation of administrative/privileged access in Active Directory lies one Active Directory object - AdminSDHolder. 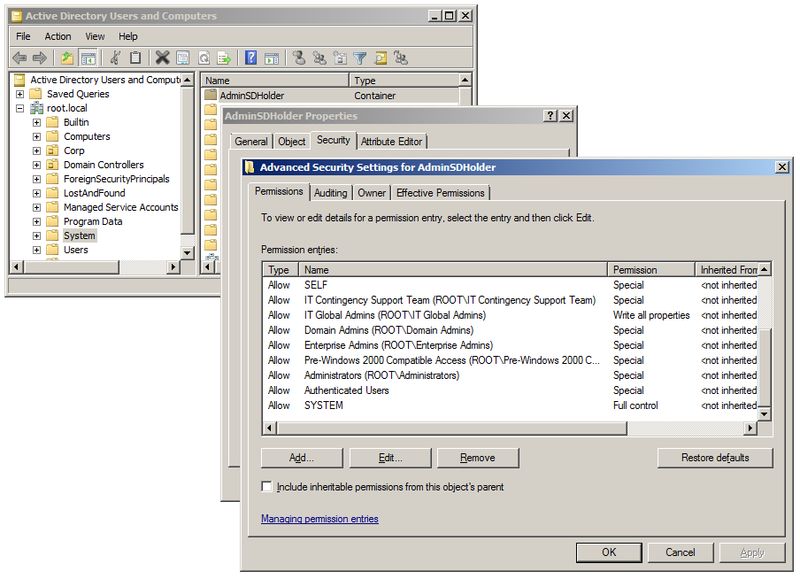 It logically follows that anyone who can modify the permissions specified in the AdminSDHolder object's ACL can easily control and impact the security afforded to all default Active Directory administrative accounts and groups, such as Domain Admins, Enterprise Admins, Administrators, Backup Operators, etc., as well as the default Administrator account, and all such accounts. In other words, anyone (e.g. a rogue or coerced insider, an intruder, APT etc. ) 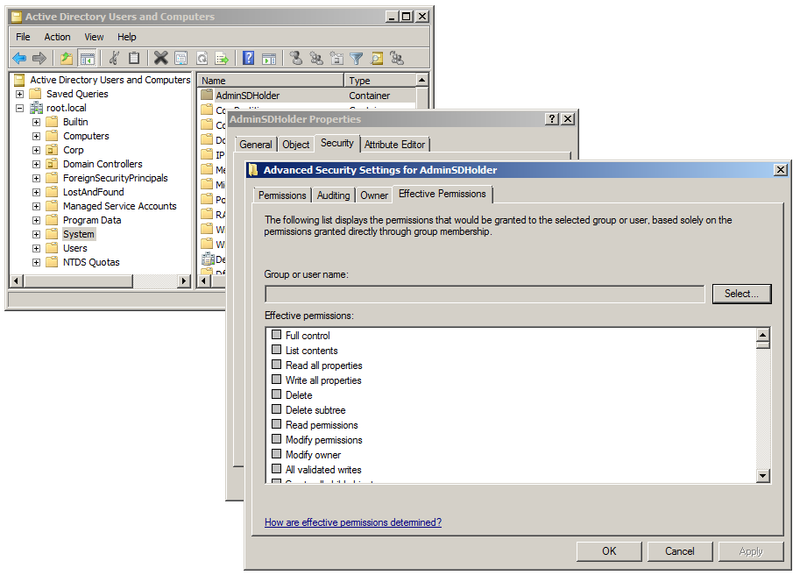 who could modify the permissions specified in the AdminSDHolder object's ACL could instantly obtain complete administrative control over the entire Active Directory forest! Q: "In our Active Directory domain(s), exactly who can modify the permissions specified in the AdminSDHolder object's ACL?" $100 Billion side-note: A few days ago, I had posed the same question to Microsoft here. They're likely not going to answer it, so to help Microsoft, as well as 1000s of organizations worldwide, I've answered the question below. The answer is best illustrated with a walk-through example. In your own best interest, I highly recommend going through it. Let us assume that a fictional publicly-held organization is required to identify (i.e. audit) exactly who can modify the security permissions protecting the AdminSDHolder object to demonstrate regulatory compliance, since that is what determines who controls the most powerful and prized privileged/administrative accounts in an Active Directory based IT infrastructure. 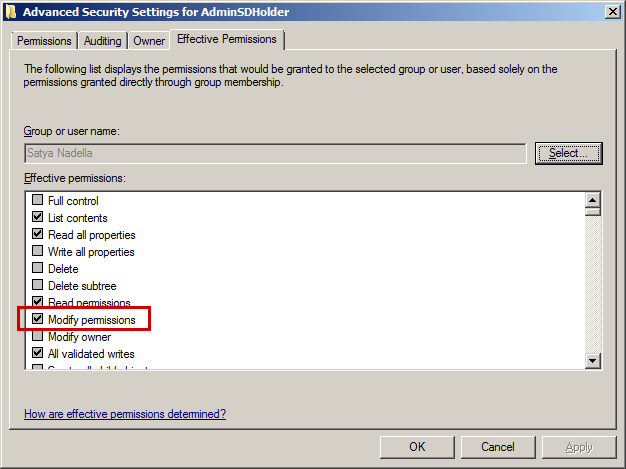 Since this is no longer a default AdminSDHolder ACL, the resulting (effective) permissions/access granted to various individuals by the various permissions specified in the ACL may now differ (likely) substantially from those granted by the default ACL! 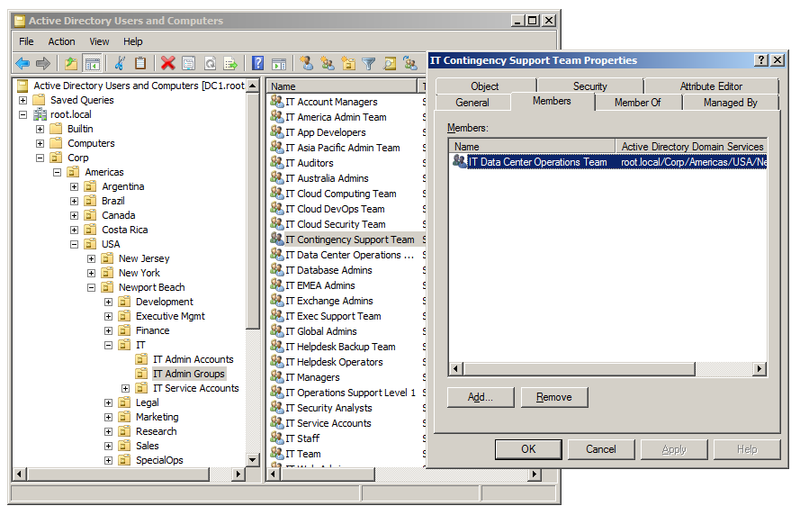 The Special permissions specified for the IT Contingency Support Team include Allow Modify Permissions and All validated writes. Since it includes Modify Permissions it impacts our answer, so its worth taking a look at the membership of this group. In essence, this one single Special permission alone ends up indirectly (i.e. 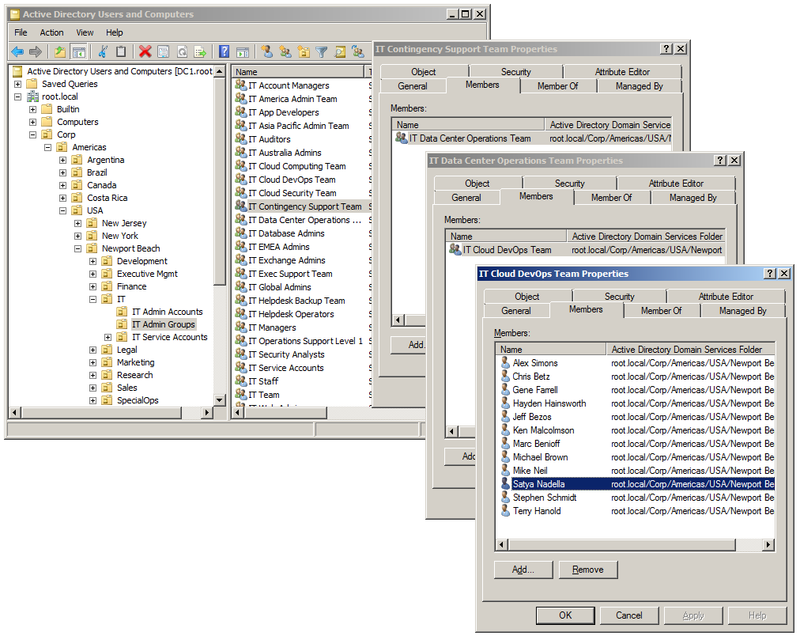 via 3 levels of nested group nesting) granting 12 individuals Modify Permissions on this ACL. However, it should also be noted that there could also be one or more Deny permissions in the ACL that could similarly end up denying one or more of these 12 individuals the same Modify Permissions on this ACL, and thus it is not sufficient to merely analyze any one permission in isolation. *Further any such Deny permission may or may not end up negating the Allow, because the resulting access in this case would also depend on the nature (Explicit/Inherited) of both the Allow and Deny permissions. * By default, the AdminSDHolder ACL is protected. However, since most Active Directory deployments have been around for years, it is possible that someone could have accidentally unchecked the Protected check-box, in which case it will inherit ACEs from the parent. As experts, we take every possible scenario into account. As such, this being an illustrative example applies to most objects in Active Directory (whose ACLs are unprotected) so in most cases, when making such determinations, inherited permissions will need to be taken into account. 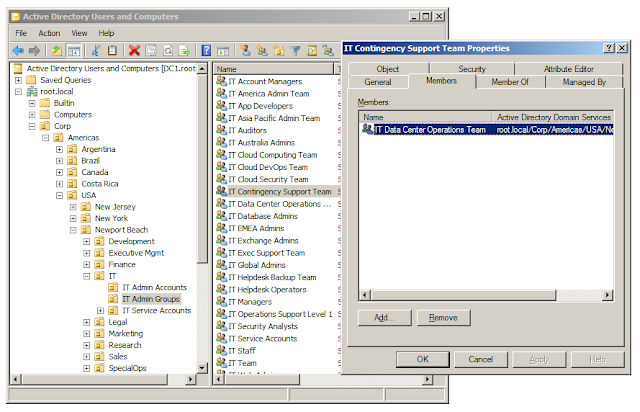 As such, as seen above, there are many ACEs (access control entries) in the object's ACL (access control list), each one of which allows or denies a specific security principal (which could be a user, a computer, a security group, a well-known SID etc.) 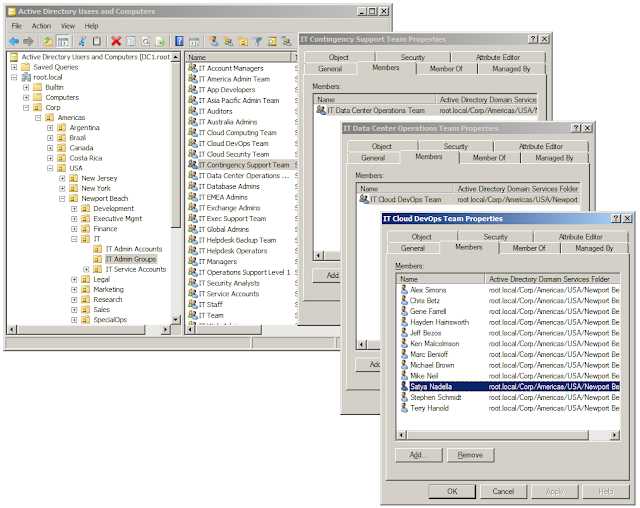 one of more specific Active Directory security permissions, and each one could either have been directly (explicitly) specified on the object, or may have been inherited via inheritance of permissions from the ACL in the object's parent. 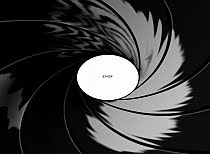 In essence, the only way to answer this question is to accurately determine the new resulting (effective) permissions/access granted on this object, which involves collectively taking into account the entirety of all permissions specified to all security principals (users, groups well-known security principals etc. ), in light of their permissions types (Allow/Deny) and nature (Explicit/Inherited), to ultimately identify all individuals who effectively possess Modify Permissions permissions on this object. Specifically, not only will one have to correctly resolve allow vs deny conflicts taking into account the explicit vs inherited nature of each permission, but one will have to expand any and all relevant security group memberships, many of which could contain multiply nested groups (some of which may be circularly nested), and if needed also dynamically evaluate any specified well-known SIDs (e.g. Authenticated Users etc.) 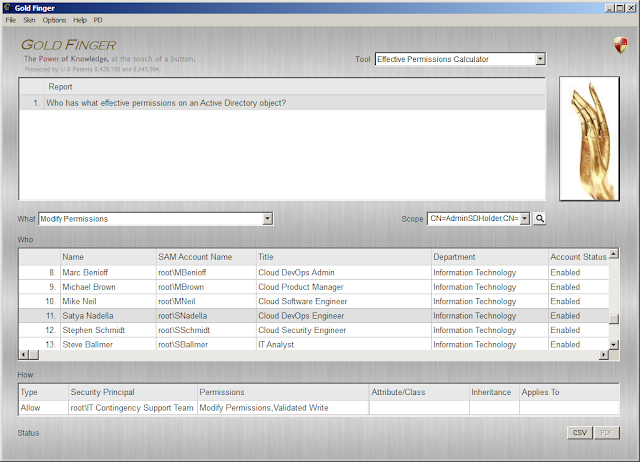 and of course, also analyze all relevant security permissions, i.e. in this case, not only those that allow/deny Modify Permissions but also those that allow/deny Full-Control, and of course do all this (each time) with 100% accuracy and no possibility of error. In summary, one needs to determine effective permissions/access granted on this Active Directory object, considering all the permissions, both allowed and denied, whether granted explicitly or inherited, to all the security principals specified in the ACL. 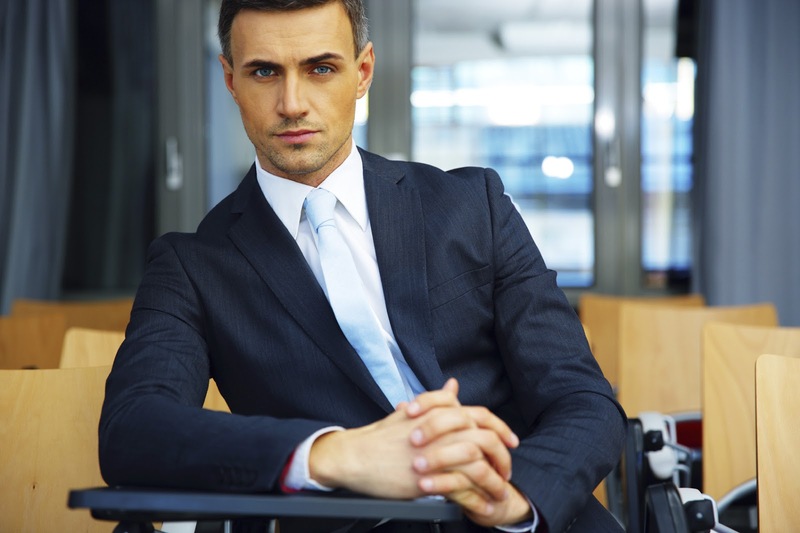 In short, what one needs to do is accurately determine Active Directory Effective Permissions. To reiterate, the fact that along with Permissions, Auditing and Owner(ship), the fourth tab in Microsoft's native Active Directory management tooling is for Effective Permissions conveys just how important effective permissions are to Windows security. 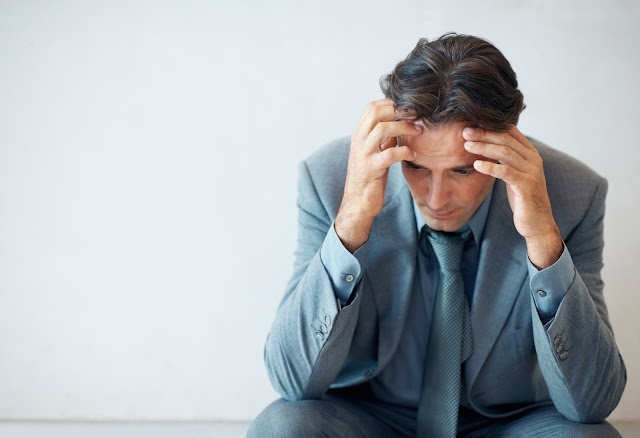 It is for these 3 reasons that it is unable to help organizations assess and lockdown effective permissions in Active Directory, and consequently, most organizations worldwide do not yet have a definitive answer to this and other profoundly vital questions. It should be clearly evident that such a process could be very laborious and easily take an excessively long time (i.e. a few days, if not weeks) and require substantial effort, each time the organization needed to make such a determination. It is also worth noting that in the event that it is found that a user who is not supposed to have this effective permission granted does have it nonetheless, there is no way to easily know which underlying security permission in the ACL is entitling this user to this effective permission, and without that piece of intel, it would be very difficult to revoke this identified unauthorized access. 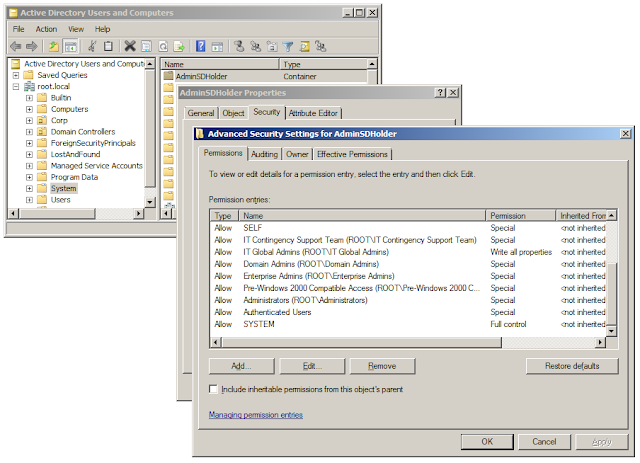 In essence, in reality, due to the shortcomings of the Effective Permissions Tab in Microsoft's Active Directory management tooling, and a general lack of awareness about the need, value and importance of determining effective permissions in Active Directory, today most organizations have NO idea as to EXACTLY who effectively has Modify Permissions permissions on the AdminSDHolder object, and thus likely have NO clue as to exactly who can control AdminSDHolder in their Active Directory. By the way, virtually every method described in various forums on Microsoft TechNet on how to determine effective permissions in Active Directory and/or audit delegations, is technically substantially inaccurate, as is this dangerously inaccurate free tool. 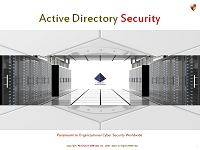 In essence, even though there are 100s of cyber security companies in the world, including some big ones, not a single one of them offers an Active Directory Effective Permissions Audit Tool. Hmm... so much so for demonstrating thought leadership! So, is there NO way for organizations to accurately and efficiently calculate effective permissions in Active Directory today? In other words, is there NO way in which 20,000+ organizations worldwide that operate on Microsoft Active Directory, whose cumulative market cap handily exceeds $10 Trillion, can today find out exactly who controls the Keys to their Kingdom(s)? 3. For each such account, the exact underlying security permissions in the object's ACL that entitle this account to this specific effective permission. 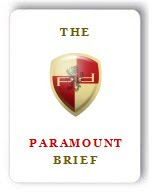 Armed with such valuable intel, organizations can finally, and likely for the first time ever, not only instantly find out exactly who controls the Keys to their Kingdom, but also lock-down access to minimize the number of individuals who can currently do so. In summary, considering the fact that 100% of all major recent cyber security breaches involved the misuse and compromise of just ONE Active Directory privileged user account, and the fact that the ACL on AdminSDHolder controls the security of all default administrative (i.e. privileged) accounts and groups in Active Directory, at the very least, every organization that operates on Active Directory today must know exactly who can control the permissions specified in AdminSDHolder's ACL. The only other thing I will add is that I find it unbelievable that in over a decade, for whatever reason, Microsoft has not once educated its customers about the vital need and importance of determining effective permissions in their foundational Active Directory deployments. Not once! 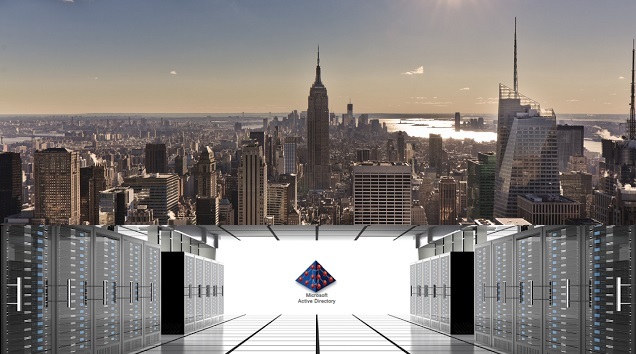 I wonder what that conveys about a company trying to woo the world to embrace its Cloud. In their own best interest, every organization must strive to understand the profound importance of what I have shared above. This stuff is paramount to organizational cyber security today. To accurately determine exactly who can modify the security permissions specified in the AdminSDHolder object's ACL, organizations need to accurately determine Active Directory Effective Permissions granted on the object. I could've easily just shared this one-line answer, but most folks worldwide wouldn't have gotten it, thus the example.